Information: feesen@outlook.com, 610 09 65 51. Feesen is a relatively new organization with ambitious goals, and an online magazine. Here’s what I’ve been able to find out, although their website, http://www.feesen.es/# doesn’t seem to be working too well. 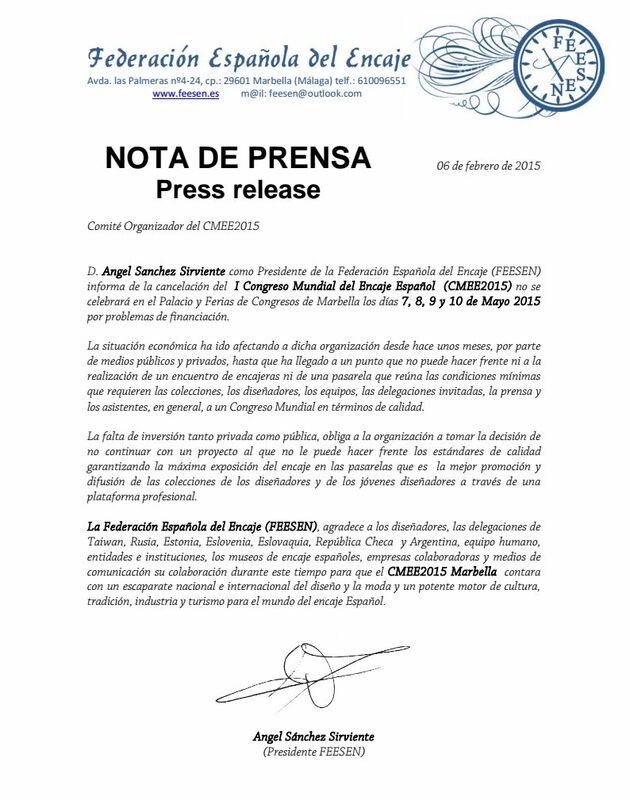 There is an extensive writeup of the event at http://issuu.com/federacionfeesen/docs/manual_patrocinio_cme2015. 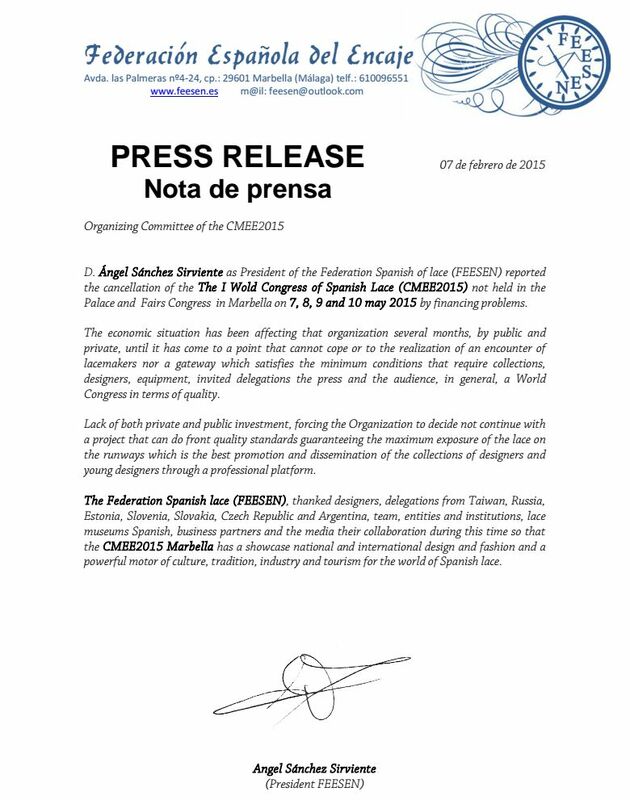 – 1st International Competition of Spanish Lace, on the theme of “La Peineta”. A Peineta is the large hair comb women use with a mantilla. – 1º Concurso Internacional de Jóvenes Diseñadores, focused on the design of lace for young fashion designers. Everything has been cancelled due to economic considerations.